This is a Leefish and Kiri joint-upload. Did you know that the LaFenetre set is incomplete? Neither did we! Until Kiri wanted to build an Orphanage. She needed a 2-tile door on 3 tiles because it looked wonky. So Lee, decided to be Kiri's fairy godmother and make one for her. 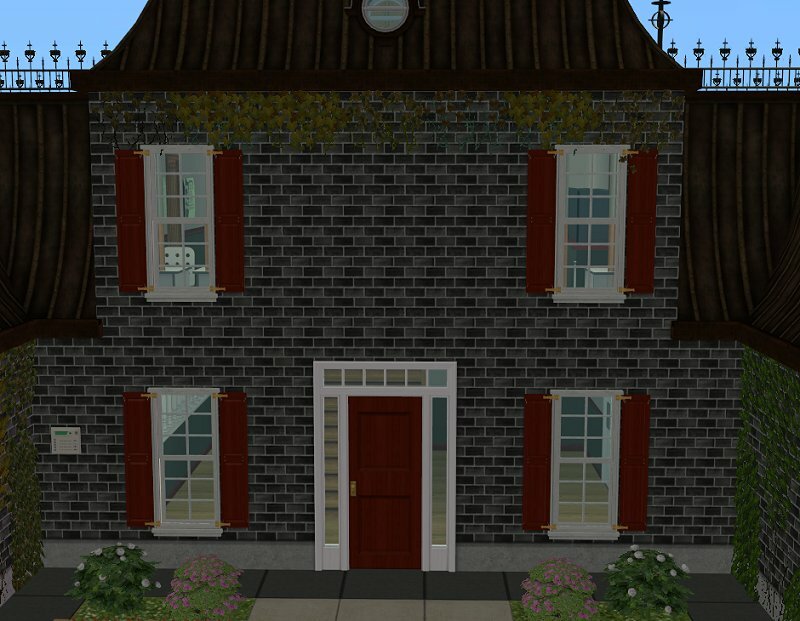 With added privacy so it could work for a Georgian building without having to install lots of CC. Then after seeing how good it looked - but that the matching windows weren't forbidding enough, she made Kiri a window to go with it. 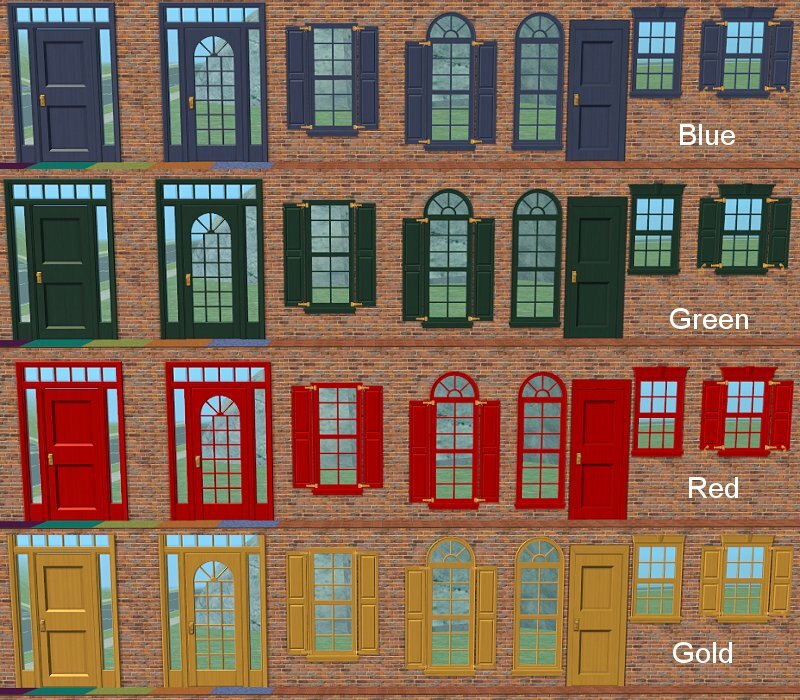 It's only fair that we share, and Kiri has done recolours for both, which are also recolours for all the LaFenetre/Colonial set done by EA, and add-ons which use them as repository. 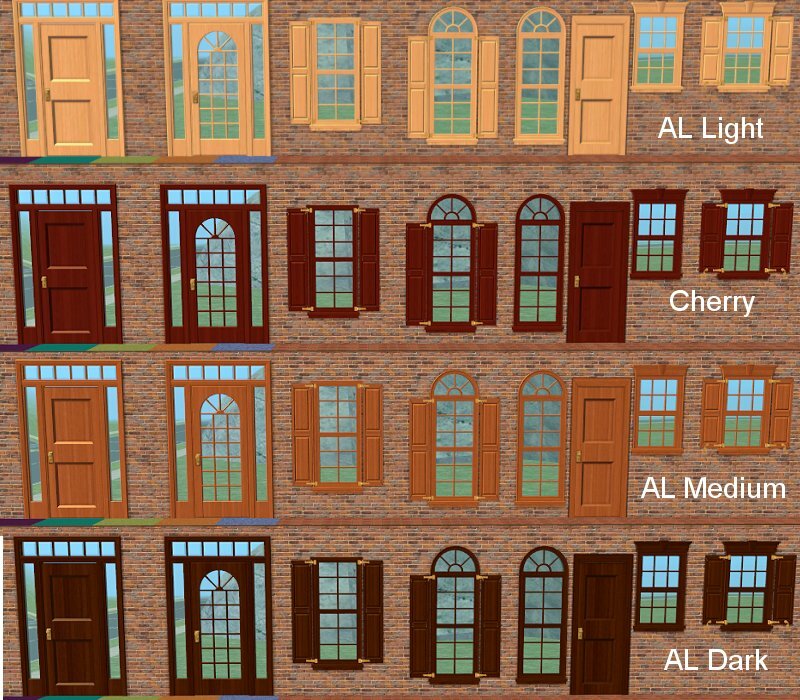 The door picks up recolours from the base game: Walnut Door, and base game: Colonial Double Door. 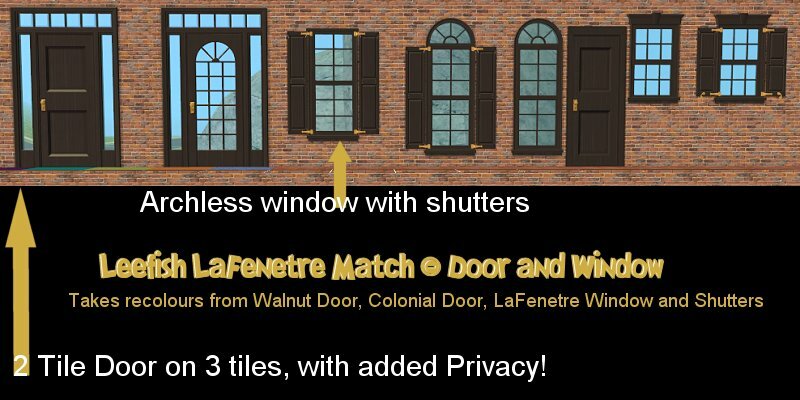 The Window picks up recolours from the base game: LaFenetre Window with Shutters. 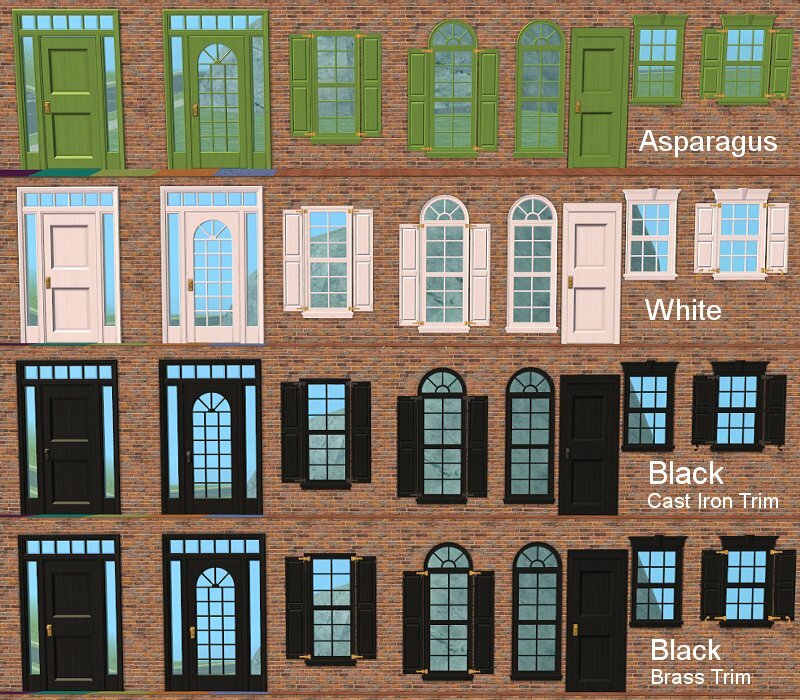 white, asparagus, green, red, blue, gold, black 1, black 2, AL Light, AL Medium, AL Dark, and Cherry. Just for Lee, Black 2 comes with the Brass fittings for pleasant places, and Cast Iron Fittings for not-so-pleasant places. NOTE: The TXMTS have been amended so that the colours match across ALL the recoloured build-set. These look fantastic, and YAY for getting stuff to match! Thank you both! Fantastic! Great job, you two! Thank you Lee & Kiri, these look amazing and I love the way the colour matches, wish I had of known about TXTM's when I first started recolouring.